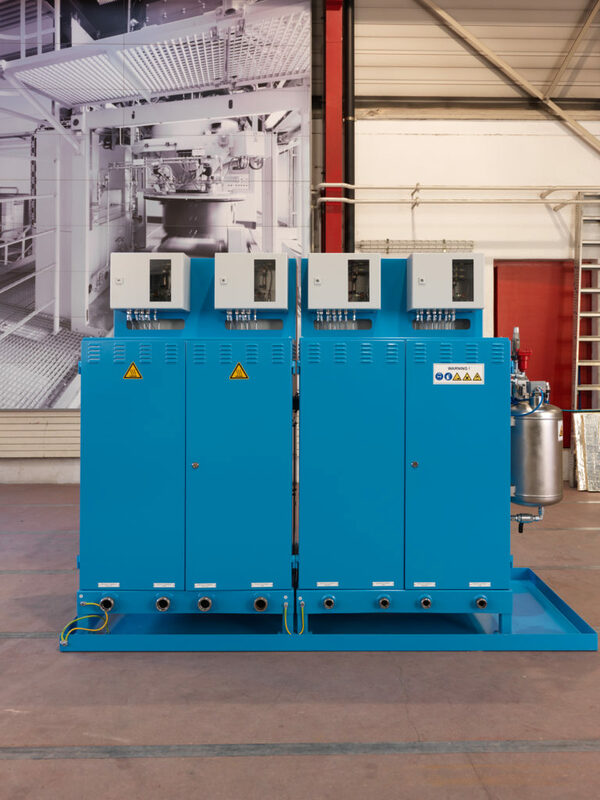 The Benefits of Lüber Gas Generators. 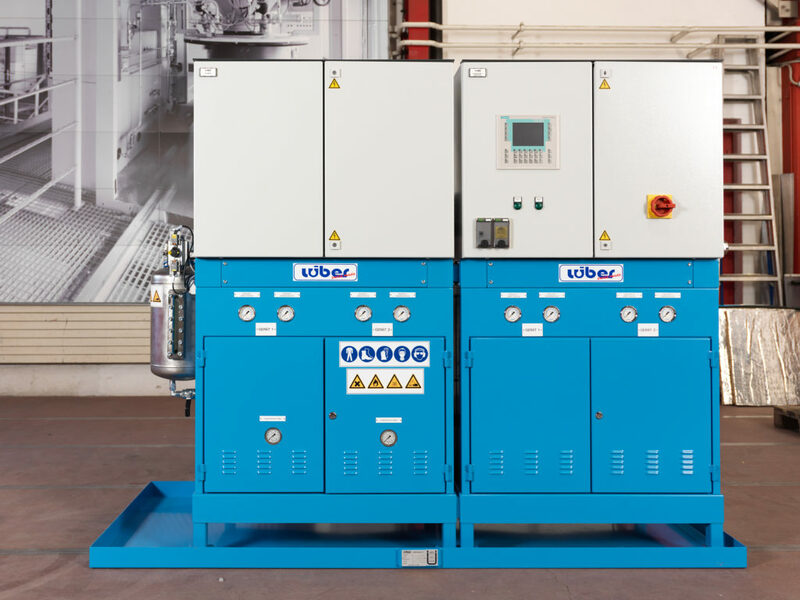 Their low energy and catalyst consumption are testament to the economy and efficiency offered by Lüber gas generators. Electronic flow meters ensure highest dosing accuracy (patented). Catalysts are filled without the need to interrupt production. 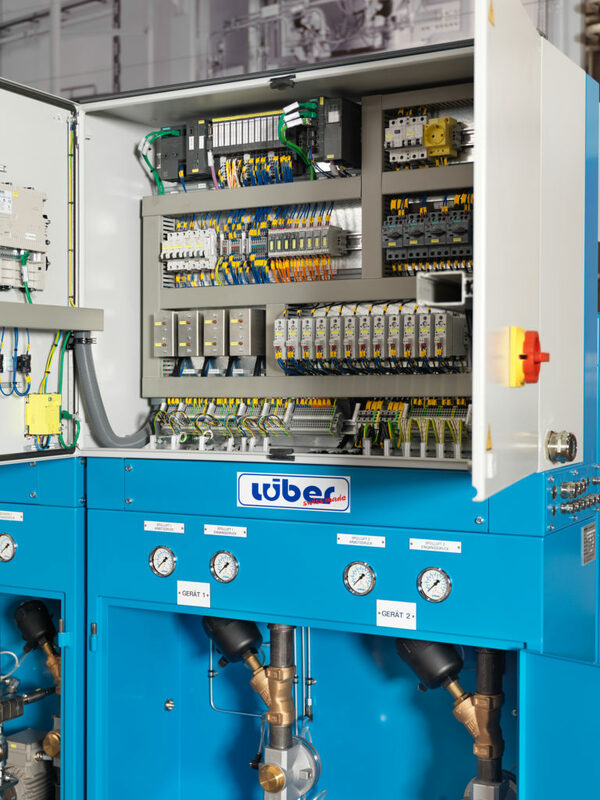 Lüber gas generators comply with CE and EX protection standards in accordance with Directive 94/9/EC and hold a test certificate ref. SEV 08 ATEX 0114. Our devices are simple to operate, offer easy access to all components and are low-maintenance. There is an option to connect to an operating data logging system to analyse all important data, too. Central Amine Supply – completely clean. 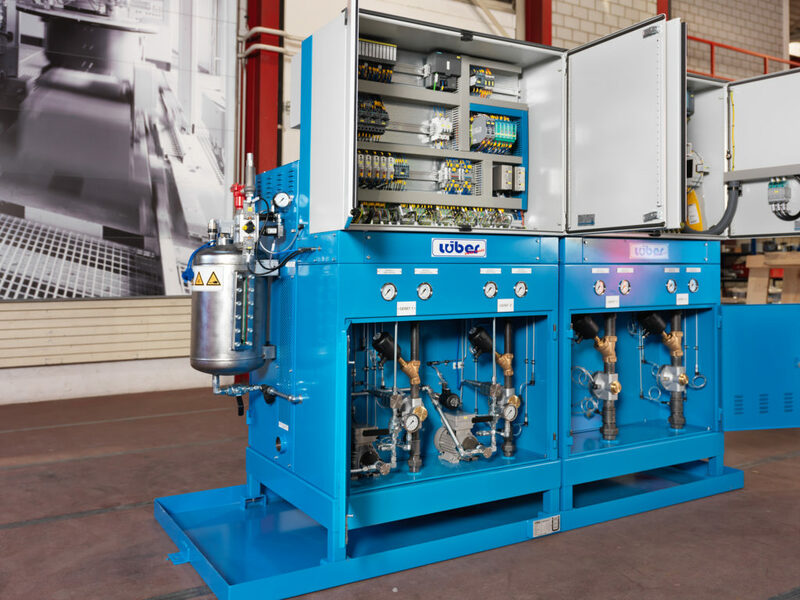 The central amine supply («ZAV») supplied by the Lüber GmbH serves to supply several gas generators with liquid media. Our ZAVs are fitted with a suitably dimensioned storage container which is easy to fill from a drum or container. 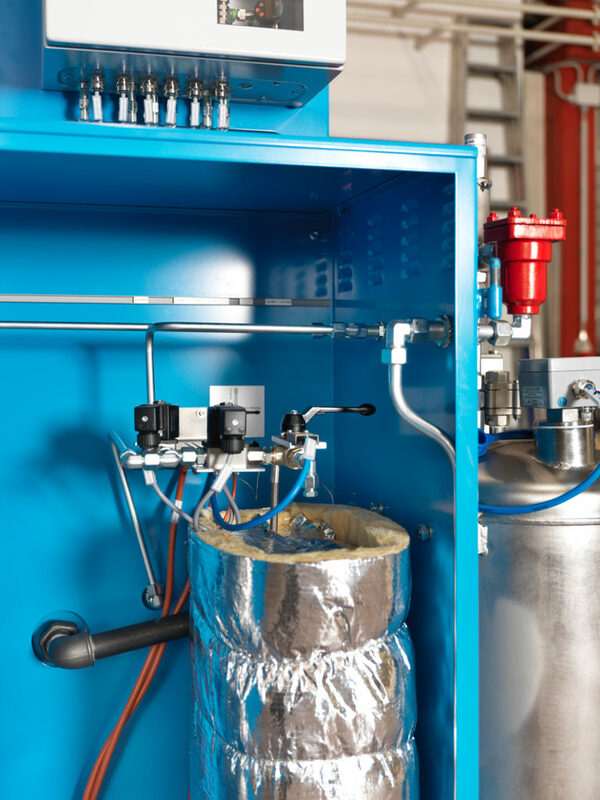 On demand, the medium is supplied directly to the respective gas generator through a closed conduit system. 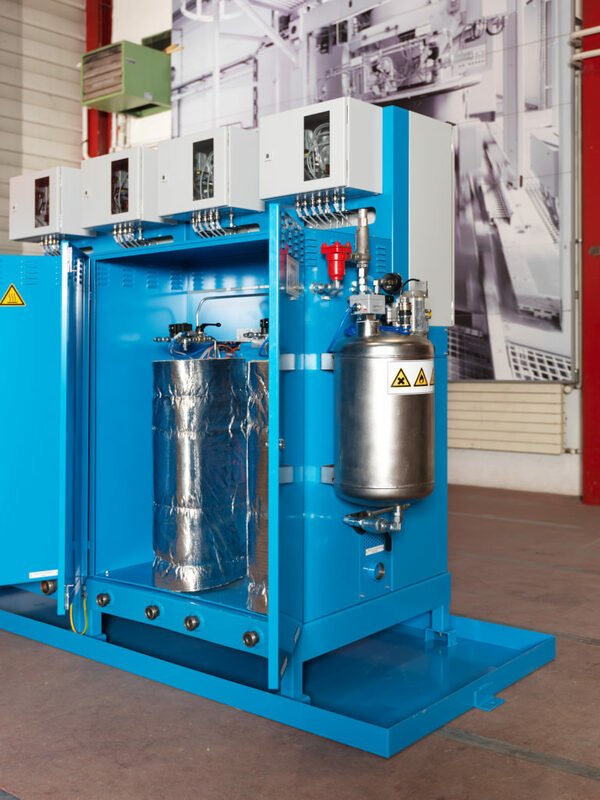 You can choose from two versions: You can either place your ZAV in a raised position so that supply is effected in accordance with the gravitation principle, or you have the option to convey the medium to the respective gas generators using an integrated pump system. Numerous Benefits and the highest Level of Safety. Our central amine supply («ZAV») is provided with various safety-related features, primarily a catch basin mounted underneath the ZAV. In case of emergency, any medium spilled is therefore caught immediately. There is also a leakage sensor in accordance with WHG § 19 I fitted to the catch basin, which will notify the operator of any emergency immediately. To maintain safe operation of the ZAV at all times, the complete conduit system is subjected to a leakage detection test every time there is a request for supplies. Only once the system is cleared as safe is the medium conveyed to the respective gas generator. The central amine supply complies with the ATEX Directive. Our ZAV also offers the benefit of easy access and a low-maintenance construction. With its simple operation, eco-friendliness and the highest degree of safety, a Lüber GmbH ZAV most certainly is the best choice.